I can whistle very loudly. It’s a ‘can I have your attention whistle’ rather than a ‘that’s a lovely tune’ whistle. I can silence a room! I don’t really have one, although Claire-Bear is probably the closest. My father once called me Clarence … but only once! I don’t spend a lot of time thinking about fear, it can be so overwhelming and crippling. I will say that as I age, I give even less room to fear. I’ve started pushing through it and it’s amazing how often the fear was worse than the reality. Varied, sometimes funny, truthful, spare, short (except when it’s not), rhythmic. Curious, wide-ranging, poetic, informative, lyrical. My mother sometimes calls me Pollyanna, because I’ll always find a bright side. My kids would probably agree as one of my favourite sayings is: ‘In the scheme of life’s tragedies, this hardly rates.’ Which character do I think I’d be? That changes with every book. I would like to take on little bits of many different characters I meet. Perhaps I do. I wouldn’t want to live anytime but now, but there are a few times in the past I’d like to visit. But only if I could give some people a good shake and tell them to behave better. Oh, did I say that out loud? Ahem. I’d like to visit my grandmother. She had such a story but I was too young to hear it. Man, I didn’t see that coming! My family. They prop me up, they pull me down. They keep me safe, they keep me grounded. They inspire and infuriate me. They make me keep trying to be the best I can. A teacher at my children’s school suggested I should give it a try after I completed a short course as a parent-helper. I think I was doing too much homework. Thank you, Mr M.
Try. That’s all anyone can do. You can’t control every outcome but you can control how hard you try. Ernst Gombrich’s A Little History of the World. It’s a whirlwind trip through the ages, from the perspective of an art historian. Claire Saxby is a writer of fiction, non-fiction and poetry for children. 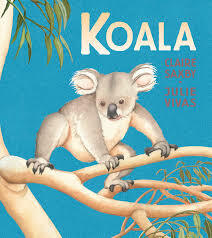 Her latest picture book is Koala, illustrated by Julie Vivas (Walker Books Australia). Other award-winning titles include Big Red Kangaroo, Emu, My Name is Lizzie Flynn and There Was an Old Sailor. Claire lives in Melbourne. 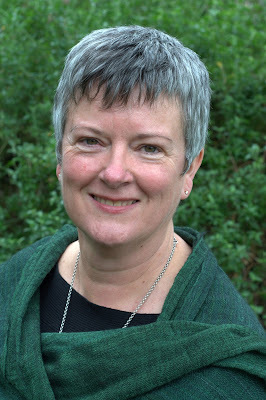 For more information, see www.clairesaxby.com.